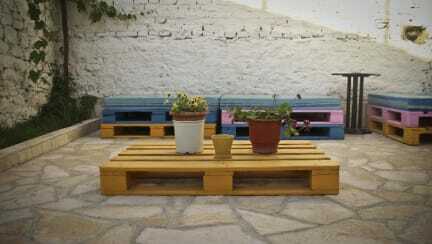 Ana Rest House Hostel Berat i Berat, Albania: Bestill nå! If the group will change their plans they have to let as know or to cancel their booking at least 4 days before. This 18th century house is now welcoming guests as a new hostel located in the traditional and charming Gorica neighborhood, on the southern banks of the Osumi River, in front of Berat's castle and scenic Mangalem old neighborhood, that is inscribed on the UNESCO World Heritage List. All our facilities are brand new, and we offer free Wi-Fi, breakfast and guest kitchen. Our garden has been the relaxing spot for many generations in the family that now runs Ana's Rest House, and you are welcome to enjoy it yourself. Also our outdoor terrace is a great place to rest during the summer, and it offers magnificent views of Berat's castle, Osumi river and Mangalem quarter. Visit us and live by yourself the experience of living in this traditional and beautiful old building, that has been home to a priest and freedom fighters, and still maintains alive the same spirit that has raised several generations. 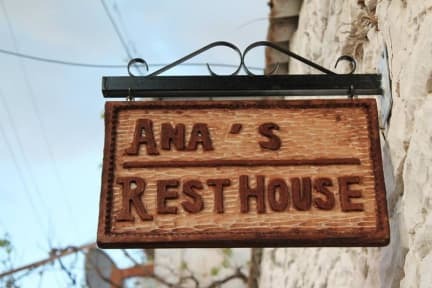 The staff at Ana's Rest House is available and willing to help you 24/7, and we will do our best to make your stay as comfortable and as memorable as possible.